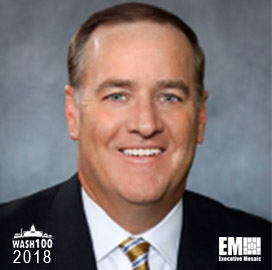 Executive Mosaic is pleased to announce Bill Rowan, Vice President of VMware’s Federal Sales department, has been added into the 2018 edition of the Wash100 — Executive Mosaic’s annual selection of the most influential voices in the government contracting arena — his leadership in security innovation in cloud migration efforts. 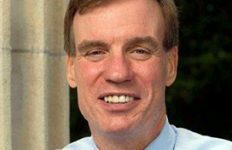 With all the discussions on cloud migration in the federal IT space, many have recognized that there is room for improvement, as Rowan suggests in an article he published a year prior in GCN. 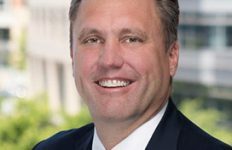 Rowan leads a team of more than 175 sales, engineering, advisory and implementation services professionals who aid federal organizations in meeting the requirements for cloud technology and virtualization. With over three decades of experience serving as an advisor to the Department of Defense, Federal Valued Added Resellers and other Systems Integrator organizations, Rowan has the experience to critically evaluate IT strategies, exploring their success as network technologies change and the future of mobility shifts moving forward. 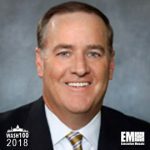 Prior to his current role at VMware, Rowan was the Federal DoD Operations Director at EMC, holding senior management positions at Storage Technology Corporation, MicroStrategy and IBM. Executive Mosaic congratulates Bill Rowan and the VMware team for receiving this award.